27. Start a ramblers’ walking group…. 43. Arrange for your village hall to be licensed…. 44. ....and run a beer festival! 45. Organise a music or arts festival…. 47. Organise a village Bake-Off…. 48 ….or a wine-tasting evening! 51. Look for professional advice and guidance on organising a project…. 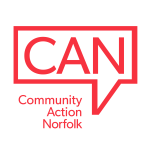 52 .…by joining Community Action Norfolk! Sometimes the hardest part is knowing where to start. Finding funds and recruiting helpers isn’t easy; but making ‘community’ a reality can be very rewarding, and for the right reasons.